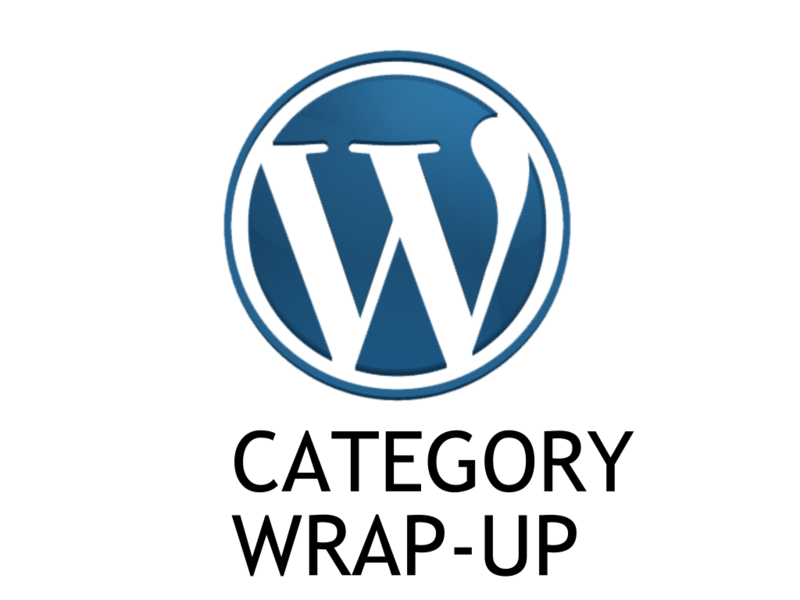 In this tutorial we will wrap up wordpress category by creating and configurating categories in the admin panel. Using Advanced Custom Fields is the same as described in this tutorial with one difference. Create a field group (like ‘Categories’). 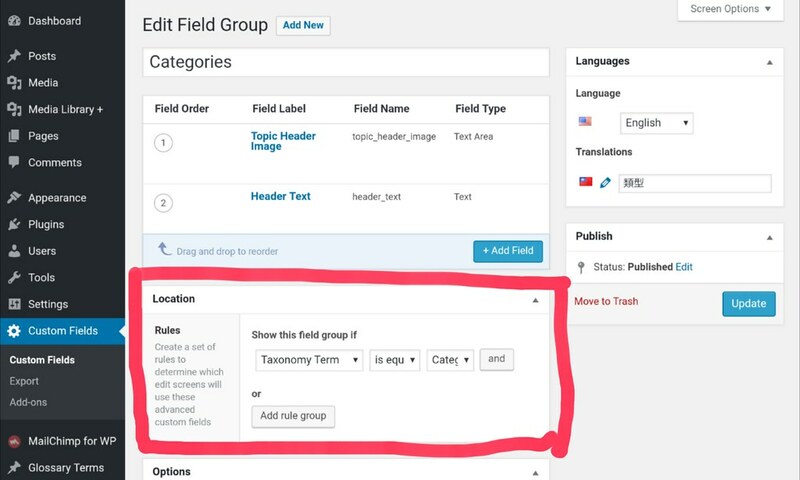 Add fields that will change based on the displayed category (here we change the “topic header” and “header image”). Now the Location setting has to be Taxonomy Term is equal to Categories . ACF field group for categories. The Location setting is important. 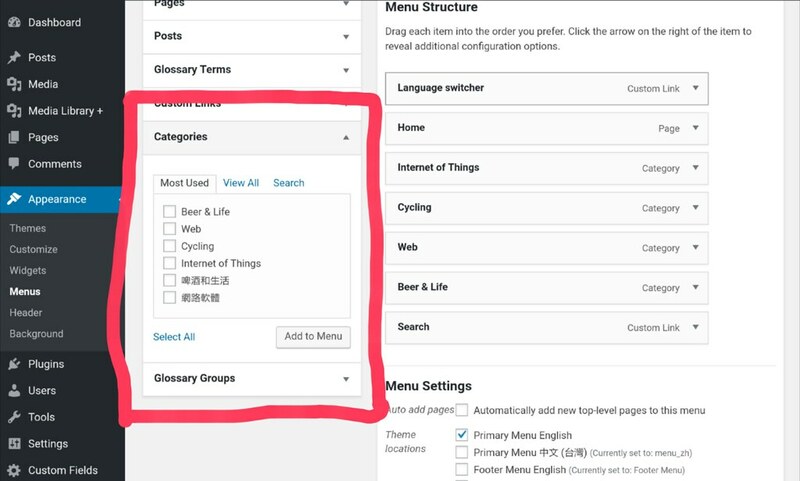 Go to Posts -> Categories and add the category name, description, and related ACF fields. Add category at left. Hit “Add New Category” button below and it’ll be added to the right. 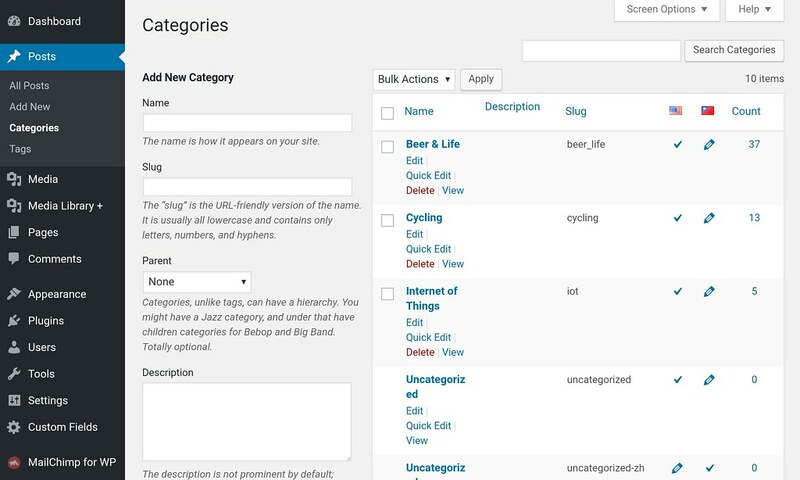 Having the categories and category.php template, we can add the categories into our header menu. Go to Appearance -> Menus and select the header menu. On the left there is the Categories drop-down. Expand it and you can add categories you created.